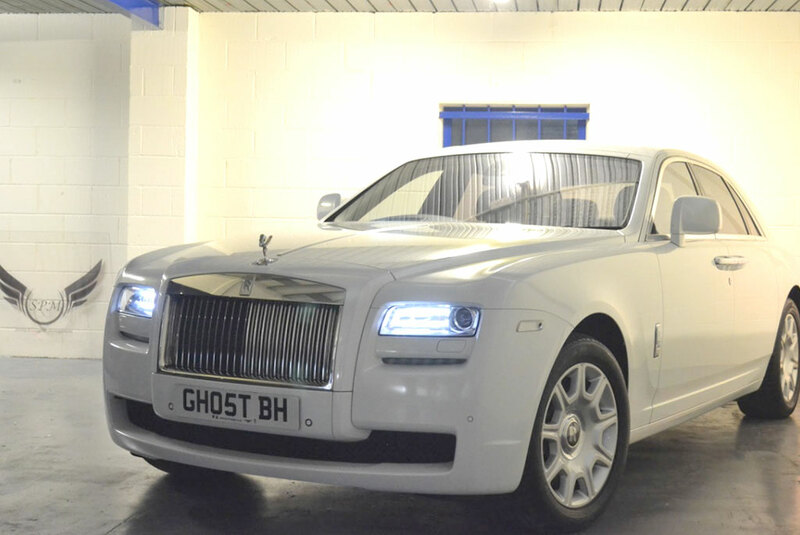 The Rolls-Royce Ghost is a British full-size luxury car manufactured by Rolls-Royce Motor Cars. The “Ghost” nameplate, named in honour of the Silver Ghost, a car first produced in 1906, was announced in April 2009 at the Auto Shanghai show. The grille and Spirit of Ecstasy immediately mark out Ghost and it has a rare sense of scale and occasion that makes it a truly modern interpretation of a Rolls-Royce. 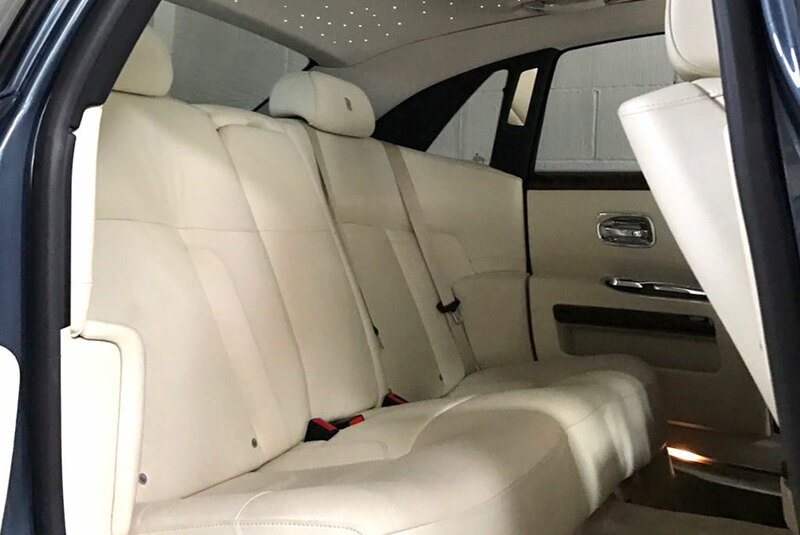 The doors on the Rolls Royce Ghost Saloon are rear-hinged and are operated electronically, getting in and out of the vehicle is a breeze just like its big brother the Rolls Royce Phantom. For those who measure success not just in material wealth, but in richness of experience. The Rolls Royce Ghost represents one of life’s finest rewards. Experience the power of connection with its effortless technologies, even on the move you’re always in the play. A ride of a lifetime, the Rolls Royce Ghost is sure to be the best and most memorable drive of your life. With the Silver Ghost, feel the fathomless quality of a Rolls Royce, without making a hole in your pocket. Concentrating more so on function instead of the Rolls Royce’s standard form based designs, riding this luxury car is an experience. It offers really exceptional performance figures of 0-60 mph in merely 6 seconds— all thanks to its 6.0-liter twin turbo V12 engine whose 563 bhp power output can also assist in reaching a top speed of approximately 155 mph. Whether you choose to ride as a passenger or drive Rolls Royce Silver Ghost, the experience does not tail off. Its reliability is one of the strongest traits of Rolls Royce Ghost series. 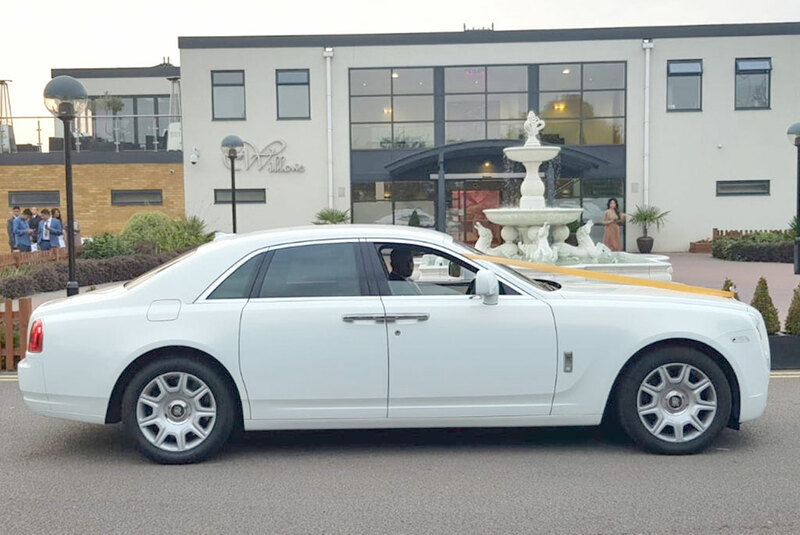 SPM Hire has a reputation for providing Rolls Royce, Bentley, Audi, BMW, Mercedes, Range Rovers, and other luxury cars in London and nearby counties. Rolls Royce Ghost encompasses suspension technologies that provide a smooth ride, and the absolute flat floor serves passengers with plenty of space and has a luxurious carpet; ensuring a ride in style, class and comfort. The Ghost’s soft engine will mean a relaxing and peaceful journey. The spacious and luxurious interior can accommodate up to four passengers in the highest quality of comfort. Rolls Royce Ghost Black is an impressive and stunning car that ensures you arrive at your destination with an everlasting impression! This impressive vehicle is perfect for all occasions, especially for prom nights, weddings, corporate events and any other formal occasion. 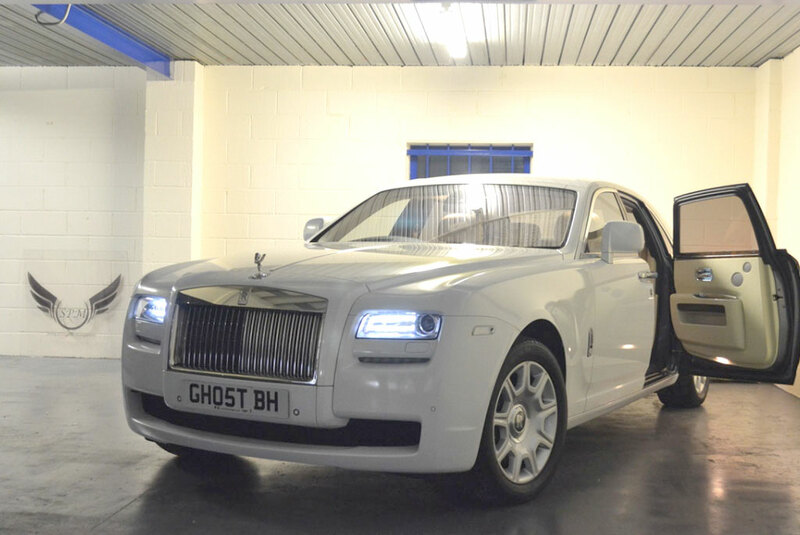 The Rolls Royce Ghost White reflects the sunlight beautifully, that makes the car look even more imposing and vast. It also features Flying Lady— the supreme RR Icon. On the hand, the Rolls Royce Ghost Silver seems to embody the simple classiness of a Rolls Royce.